The region that extends north from the Hunt Valley, MD area to the Maryland-Pennsylvania border consists of rolling hills and scenic landscapes. As you drive through the region along Interstate 83, you’ll notice many idyllic horse farms that line either side of the highway. Northern Maryland is also filled with an abundance of picturesque small towns such as Parkton, Sparks, Bel Air and Jarrettsville that offer ample opportunities to enjoy a simpler, more peaceful way of life. In addition to its beauty and tranquility, Northern Maryland is also a convenient place to live. 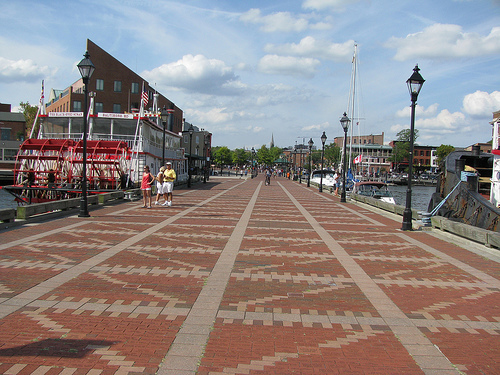 The city of Baltimore is a short drive from anywhere in the region. If you head north on I-83, you’ll soon cross the border into Pennsylvania, where you’ll be just 20 minutes away from the city of York and 45 minutes from the state capitol of Harrisburg. This makes Northern Maryland ideally situated for individuals who commute to Baltimore or PA for work. If you’re thinking of purchasing your dream home in Northern Maryland, the team at CENTURY 21 Core Partners is available to assist you. We’re a York, PA-based Century 21® franchise that is also licensed to do business in the state of Maryland. We routinely list many different types of Northern Maryland homes for sale including single- and multi-family dwellings, condos, farms, and mobile and modular homes. Our superior customer service is what you would expect from any real estate agency bearing the Century 21® brand, which was the recipient of the highest numerical score from first-time and repeat home buyers in the J.D. Power 2014 Home Buyer/Seller Study. At CENTURY 21 Core Partners, we understand that people who live in PA or anywhere else outside the region don’t necessarily have the time to drive to Northern Maryland to look at homes. Our user-friendly website can bring the homes to your computer. You’ll find detailed information about all of our current Northern MD listings, along with professional-grade architectural property photos. You can even get a true feel of what it would be like to live in a particular home by taking a virtual tour. When you download our mobile app to your smartphone or tablet, you’ll also have instant access to the latest listings no matter where you go. Having access to the latest “tools of the trade” is great, but you still need the services of a competent agent to facilitate your buying transaction. The agents at CENTURY 21 Core Partners are the best in the entire South Central PA-Northern MD region. You can count on us to assist you through every phase of the home purchasing process, including preparing a fair offer for your dream home, obtaining a mortgage loan and closing the deal. Our goal is to remove as much of the burden from your shoulders as possible. If the time has come to begin the process of exploring Northern Maryland homes for sale, take an important step that can make your life easier. Contact the Northern Maryland real estate team at CENTURY 21 Core Partners today. Call us at 717-718-0748, or submit our online contact form.